This is a face of a life changed. A face of hard work and determination paying off. A face of generations of American cheesemaking. There was not a dry eye to be had when the Best in Show winner was said to be Little Mountain from Roelli Cheese company out of Wisconsin. Chris Roelli was overtaken with emotion and joy that touched everyone in the room. The regeneration of the Roelli plant in 2006 has culminated in this moment. Chris Roelli is a fourth generation cheesemaker and is one of Wisconsin distinguished Master Cheesemakers, a job he takes quite seriously. The Roelli plant had been closed since 1991 and since the reopening, Chris Roelli has dedicated his time and life to regenerating the past of his predecessors. 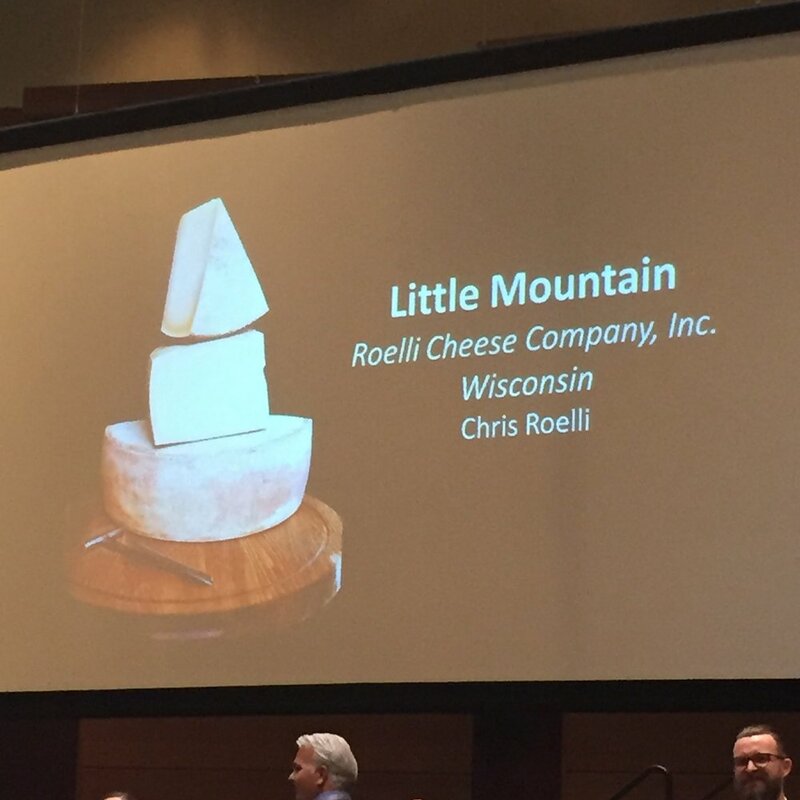 Little Mountain was a cheese made to honor that past and the family that have made cheese in the US for nearly 100 years and it is huge to have won in one of the hardest contests we've seen in years. Out of 1843 cheeses submitted for judging this year, Little Mountain reigns supreme. I have so much more to say about the conference as a whole but I just really wanted to share this joy.